Back in iOS 8.4, Apple introduce a new "heart" icon in their Music app, which works in direct correlation with their Apple Music service that was released at the same time. By hearting a song, you're telling Apple that you love that song, and they can make better suggestions for you (in the "For You'" tab) based on it. But if you don't subscribe to Apple Music—and don't think you ever will—that heart is virtually useless. And if you have a HUGE personal library of music and have been using the star-based rating system that's been around on iTunes since before the iPhone was even invented, you probably still want to star songs. Problem is, rating songs in iOS 9.3 to 9.3.5 is different, and the feature is completely absent from iOS 10. Previously, you would tap on the song name in the Now Playing view to bring up the rating system. If you try to do that now, you'll just open up the Album that the song appears on. 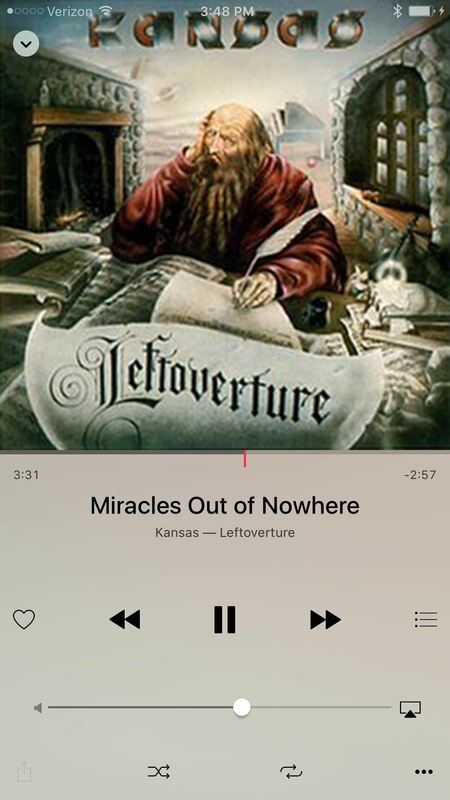 (1) Tapping on the song title... (2) Takes you to the Album page in iOS 9.3.x. (3) And the same happens in iOS 10. 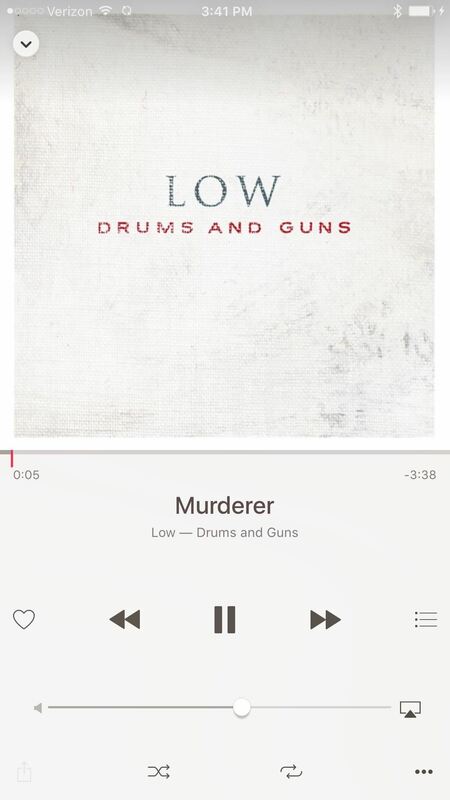 To rate songs in iOS 9.3 to 9.3.5, just tap on the Album artwork in the Now Playing view. 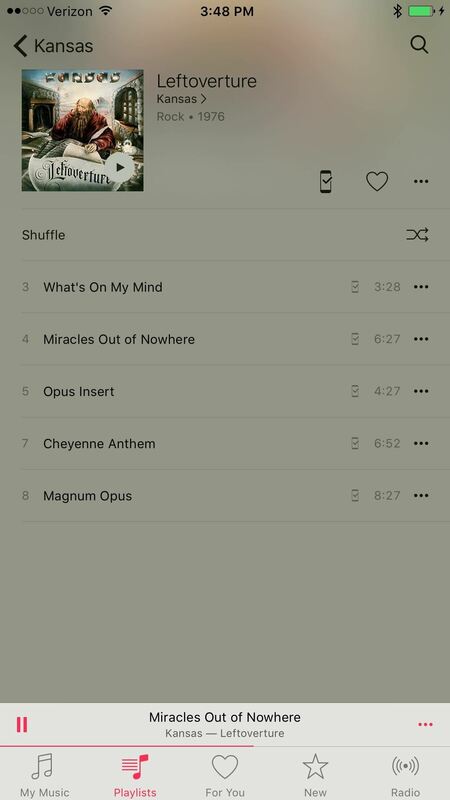 The album with blur, and you'll see the dots and/or stars that you're used to seeing right in the middle. If you're using iOS 10, you'll only see Love/Dislike ratings. 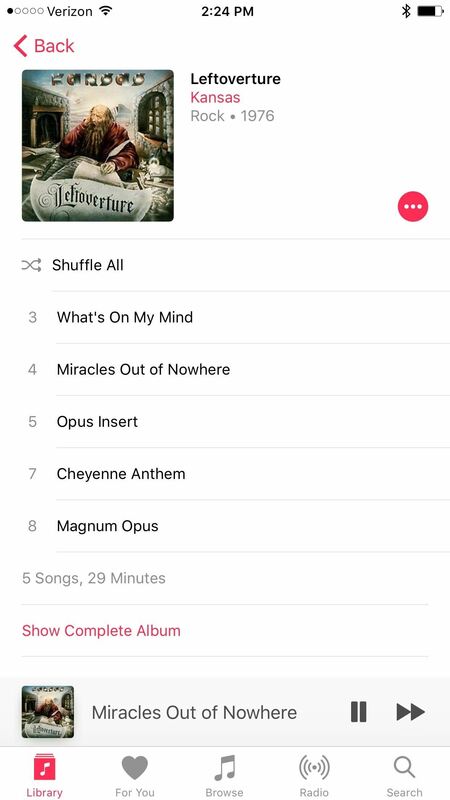 The only option you have for stars is using iTunes, and the only way you can see stars on your iPhone is by creating a smart playlist in iTunes based on each of the individual star ratings, then sync them with your device. 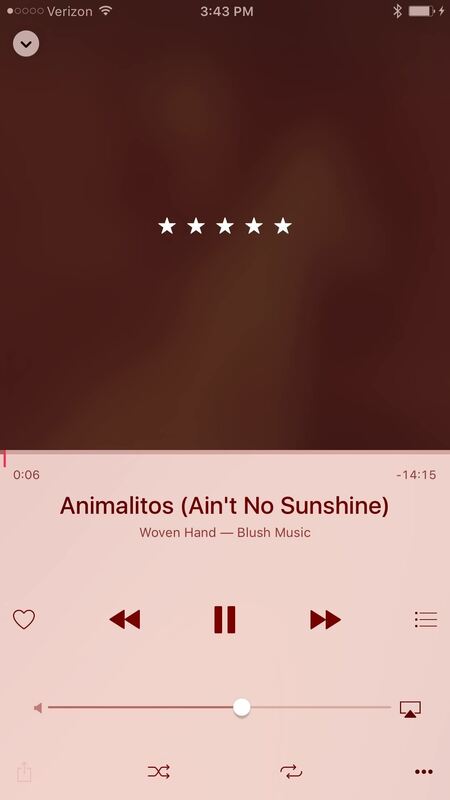 (1) Tap on the album artwork in 9.3.x... (2) To see the star rating system. If the song has lyrics, it will show them as well, pushing the rating system up top near your status bar. 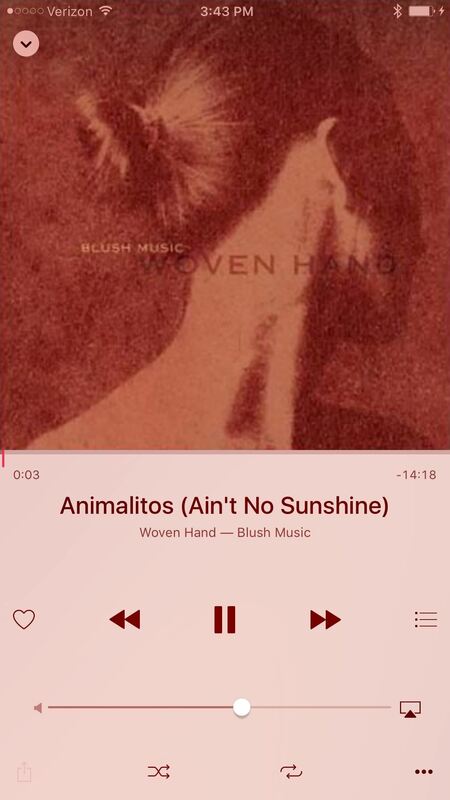 In iOS 10, you have to pull up the Now Playing window to see lyrics, but there are no stars. 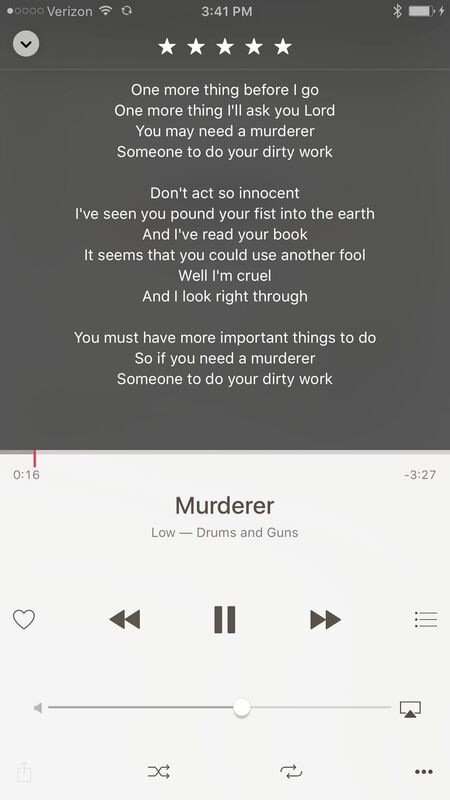 (1) Tap on the album artwork in 9.3.x... (2) To also see lyrics, if any. 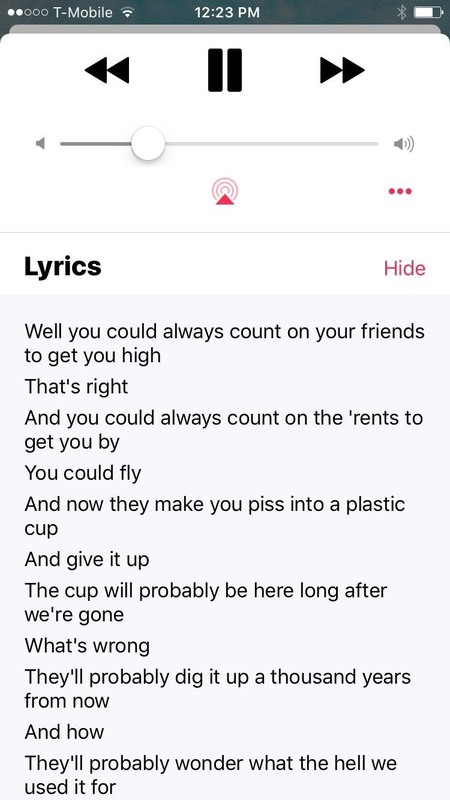 (3) In iOS 10, you can still see lyrics, but no stars. If you've been tapping the song title since iOS 7, the iOS 9.3 change is not very intuitive, and the iOS 10 one even more so. Plus, these updates killed the previous ability of tapping on the song name to rate it from the Control Center or on the lock screen. So if you're at the gym, you have unlock your iPhone first before you can rate anything; If you're on iOS 10, you can't even Like a song from the lock screen. Even if you disable Apple Music to get rid of the "For You" and "New" tabs, it won't change the way any of this works. Thanks, Apple. And the star rating feature will likely never return to future versions of iOS 10, so start saying your goodbyes now.